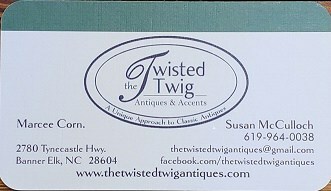 Our new Twisted Twig Marketplace is up and running! We are adding new items all the time. So please check it out! If you have any questions please feel free to email us, if you have any problems with that page! Thanks and Happy Shopping! 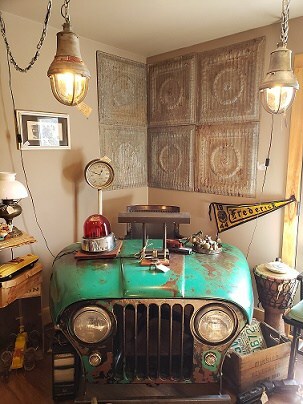 Our charming shop, has unique antiques as well as eclectic one of a kind pieces. We also feature some new gifts and accent pieces. We emphasize the ordinary as well as the unusual and distinctive gifts of all kinds. You can always find a unique approach to the classic antique at The Twisted Twig! Come check us out and see what is new. 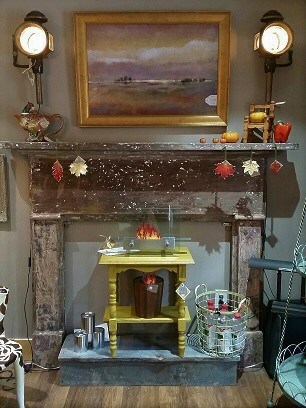 Large Apple Picture Antique Barber's chair Fireplace mantel with vintage English carriage lamps on both sides of mantel.